Humans, Googlebox, The Jump: a successful year for Channel 4 as ratings for 2015 confirm that the broadcaster has seen an increase in its all-time viewing share of 5.92%, up +1% on 2014 – the first increase in Channel 4 viewing share since 2006. Channel 4 was also the only main terrestrial channel to grow its audience across all three major demographics of all-individuals (up +1%), 16-34s (up +2%) and ABC1s (up +6%). BBC One is the only other main terrestrial channel to have grown audience share in 2015, also recording a +1% rise in all-time viewing. Channel 4 also recorded the largest increase in peak-time (7pm to 11pm) viewing share of all the main terrestrials – with viewing share of 6.96% up +8% on 2014. Its peak-time share of key audience demographics also saw large increases, up +7% for 16-34s and up +13% for ABC1s. 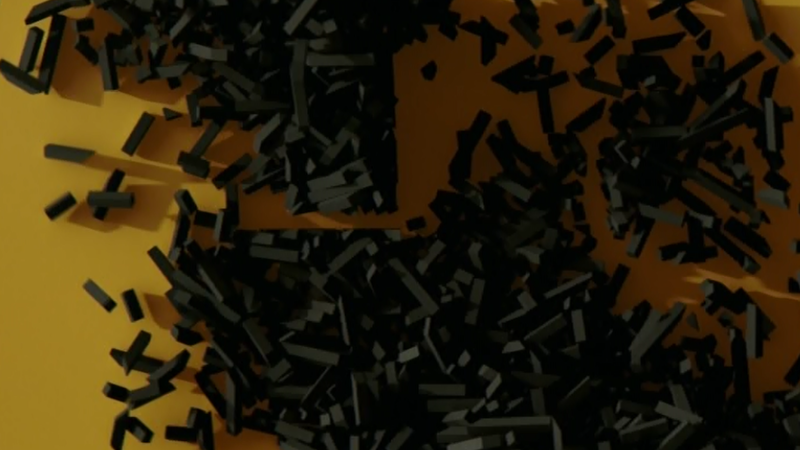 Channel 4, which revamped its on-screen appearance last autumn, with abstract idents featuring the famous logo's blocks (pictured), says the increases in viewing figures are down to "a successful schedule of returning series commissioned over this period, including the likes of Humans, Indian Summers, Catastrophe, Gogglebox, The Island, SAS: Who Dares Wins, The Jump, Hunted and The Secret Life of 4,5 and 6 Year Olds." This news follows a year of critical acclaim for the channel having won more BAFTAs than any other single channel and more Grierson awards than any other broadcaster. Channel 4 has also shown the most growth of any of the main terrestrial broadcaster portfolios in peak, increasing its share of viewing between 7pm and 11pm by +2% on 2014 (from 11.64% to 11.88%). Across all-time, the Channel 4 portfolio was down marginally at -2% (10.63% against 10.85%) – but was the only main commercial portfolio to show an increase for ABC1 viewers, with +1% growth on 2014. The Government is currently considering privatising the broadcaster, which has been in public hands since its launch in 1982. Don't want to see the government privatise like the 80s/90s tories did with too many things! Whatever channel 4 are doing now is working, I have certainly been watching more of it over the last year than previously so it's worked.